This episode was first uploaded in September 2011. This final episode of the main storyline of Kämpfer Abridged. After ten weeks of uploads, we’re at an end with the main story. I wanted to give this a good sendoff so the amount of eighties music and cheesy drama went skywards. All the cast did a great job as they have done in the previous episodes. I had fun making this but was somewhat sad when it came to finishing it. I know there’s a Christmas special and a two-part OVA ‘second season’ but the OVA was terrible and the Christmas special has been really had to figure out…doesn’t mean it won’t happen though. Thanks for watching! This episode was first uploaded in August 2011. This is where things properly get going for the penultimate episode of Kämpfer Abridged. It’s been a good nine weeks but we’re almost at the end. It was only now when it started to dawn on me that I was near the end of the season’s main arc. Some of my favourite jokes are in here and I got a chance to have some fun with editing some non-canon gags. Enjoy! This episode was first uploaded in July 2011. In the original version of Kämpfer, this is where things started to finally happen! The end game was finally on its way as was the whole Team Fortress 2 schtick with the addition of the rest of Sakura’s crew. It was great to work with loads of other cast members for this episode and it felt really dynamic and was a joy to edit. It was about now that I felt that the show was really growing on me. Also, BEACH PARTY EPISODE! Now that June has arrived, the summer convention season is upon us. 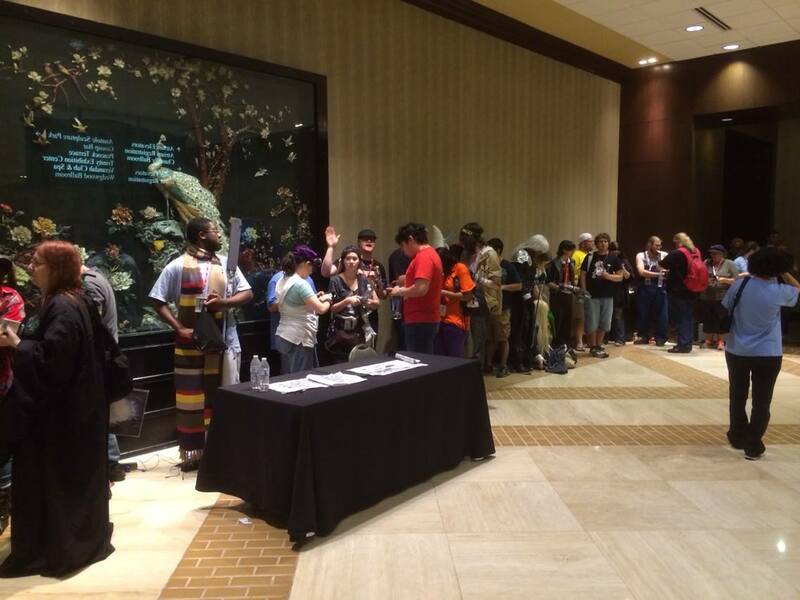 My first stop was in Dallas, Texas for one of the oldest anime conventions outside of Japan and one of the most respected in the United States – A-Kon. Going since 1989, the convention has seen anime grow up from a very small niche to a global marketing juggernaut which is constantly evolving and branching out into all forms of media. I’ve known about A-Kon ever since I really got into anime in the early 2000s. 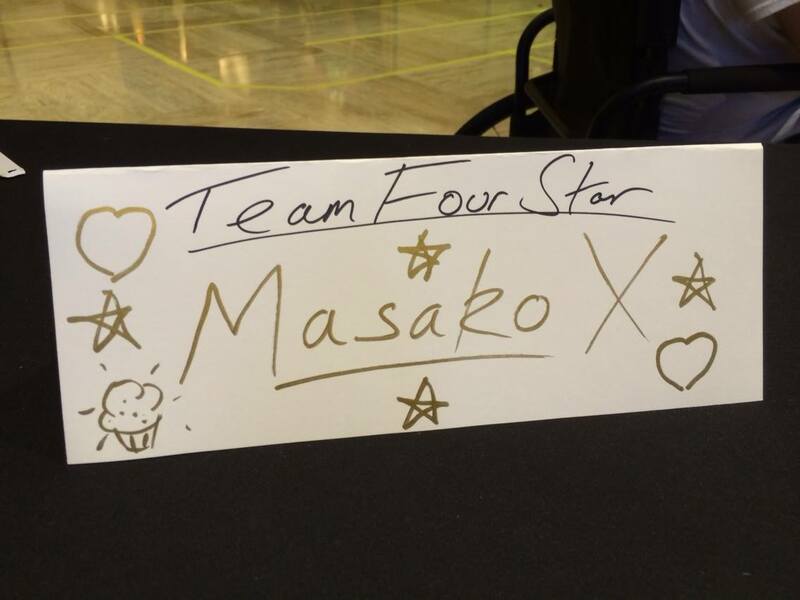 Even then it was a big convention and when presented with the chance to represent TeamFourStar for their third time at the con alongside KaiserNeko, LittleKuriboh and GeneralIvan was an immense honour. I had been looking forward to this convention for ages. 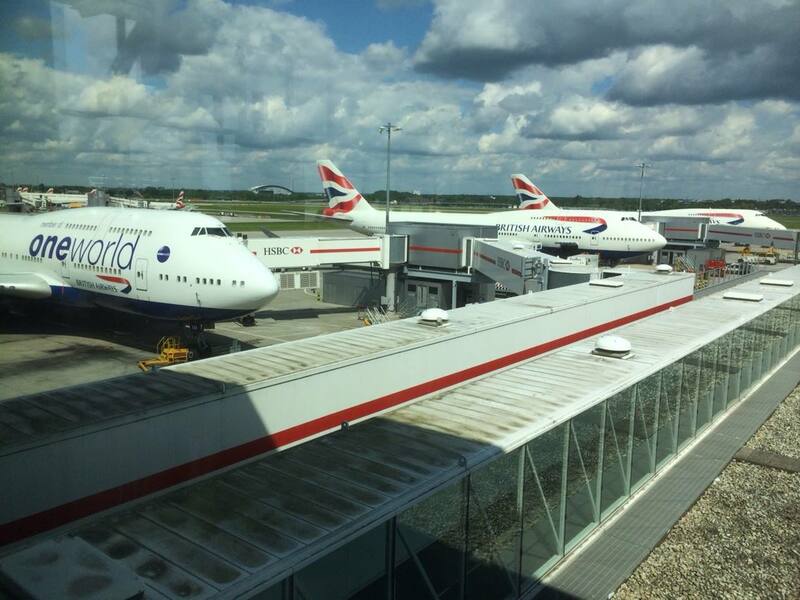 After a nine hour flight from Heathrow, I landed in Dallas and met up with my driver Mark who was also picking up the famous anime author Helen McCarthy [who was on the same flight as me] and we all set off for the con. In that twenty minute car journey, I was introduced to one of the western world’s most highly regarded factual authors on the subject we all know and love and was able to geek out about anime both modern and classic. It was a brilliant precursor to the weekend at large. In fact, it summed up my feelings on the con staff; friendly, supportive and like-minded individuals in that they were doing what they loved and what they had been doing for years. A truly caring family atmosphere; it was wonderful to witness. Our guest relations contacts Laura, Yolanda and Cindy were troopers throughout the convention and made sure we were looked after and that we had everything under control. They did a bang-up job! 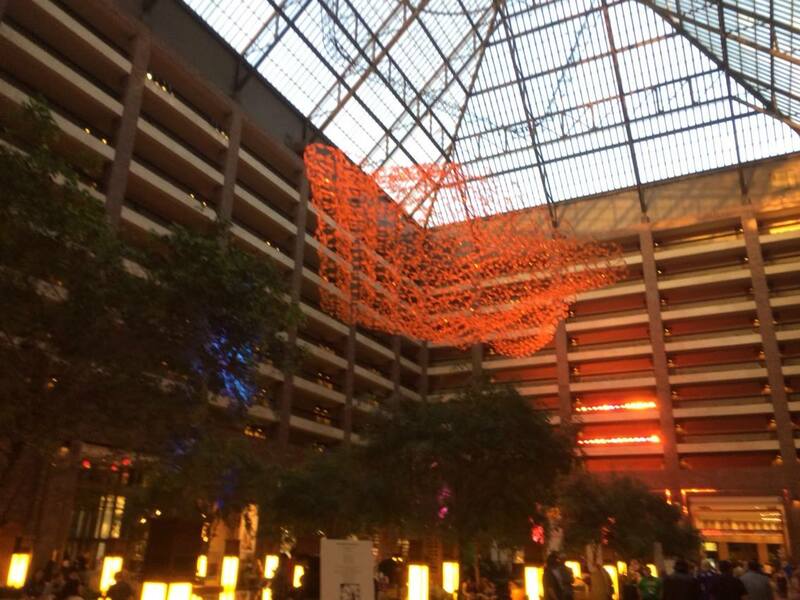 The con took place in the Hilton Anatole on the outskirts of Dallas. A large space perfect for the scope and magnitude that is A-Kon. It’s somewhat confusing when you first walk through the immensely large and stunning atrium towards the Tower complex and the very Asian-inspired architecture but after a few trips up and down the halls you get used to the general configuration. The maps dotted about the space as well as the maps provided in the con books and schedule made things clear. The space itself was used to its full potential and all the rooms were made available to the con meaning that loads of content was going on at any one time. Granted it leads to a conflict in regards to picking which panels to attend, but it’s certainly a lot better than there being next to nothing going on! The one disadvantage of being a guest is that we’re constantly walking around and doing stuff with the fans or going to our own panels, so it means we sadly miss out on the creative workshops and discussions going on throughout the weekend. The selection on offer was impressive and original and I’ve been to tons of these things; that’s saying something! 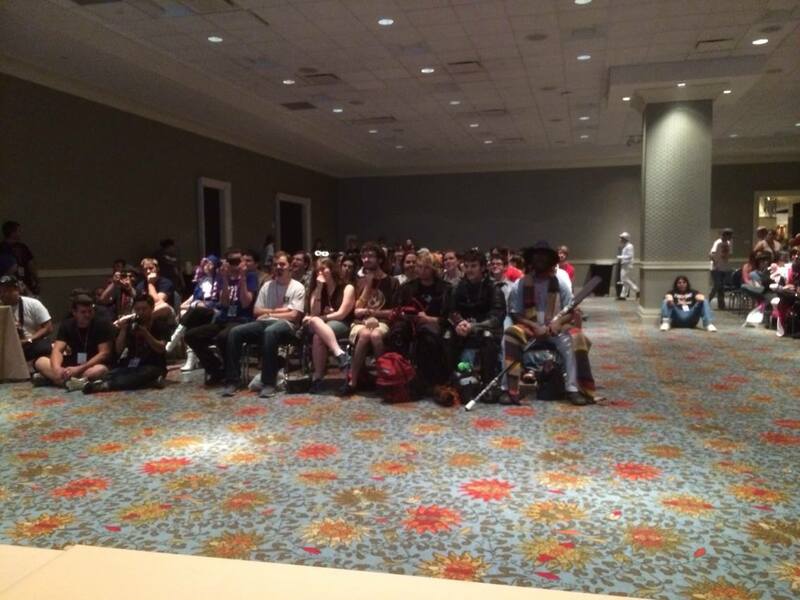 TeamFourStar had two panels this year: an adult panel on the Friday night and a standard panel the following afternoon. For both panels, we showed the latest Dragonball Z Abridged movie [Cooler 2: The Return of Cooler’s Revenge – The Reckoning] which went down spectacularly on both occasions. KaiserNeko, GeneralIvan, LittleKuriboh and myself were at both panels and fielded many questions from the fans who were eager to have fun and ask some really interesting questions. They were also really engaging as an audience, responding well to our answers and paying attention with no negative feelings. It seemed that everyone had a great time! At the main panel on the Saturday, a fan gave us an awesome drawing she had done during the panel proclaiming MUFFIN POWER [see below] which was glorious. I especially loved it since it had muffins in it [could you tell?]. Now that I recall, we actually went over for both sessions by about ten minutes without realising since we were having so much fun. The audience was great and the panels went by swimmingly. I was a little nervous since Lanipator and Takahata101 [who are the big personalities of the group] were off with hbi2k at Phoenix Comic Con the same weekend and their absence would be felt; but the fans were just as pleased to be there which was so cool. I felt really comfortable; thanks everyone! While we weren’t doing panels, we spent [spent being the operative word] time in the artist’s alley and dealer’s room. It was probably one of the best dealer’s rooms I had ever seen with so much great stuff to be had and such a wealth of things to choose from. From figures to props to collectibles, you name it! I guarantee that you would not leave empty-handed! I myself left with a cool Goku figure and a REALLY RARE Ruri Hoshino wallscroll that I had never seen before [with authentic 90s Japanese dust!] which was a must for my collection of Nadesico material. I had also found some gifts for my girlfriend too, so a massive success on that front. 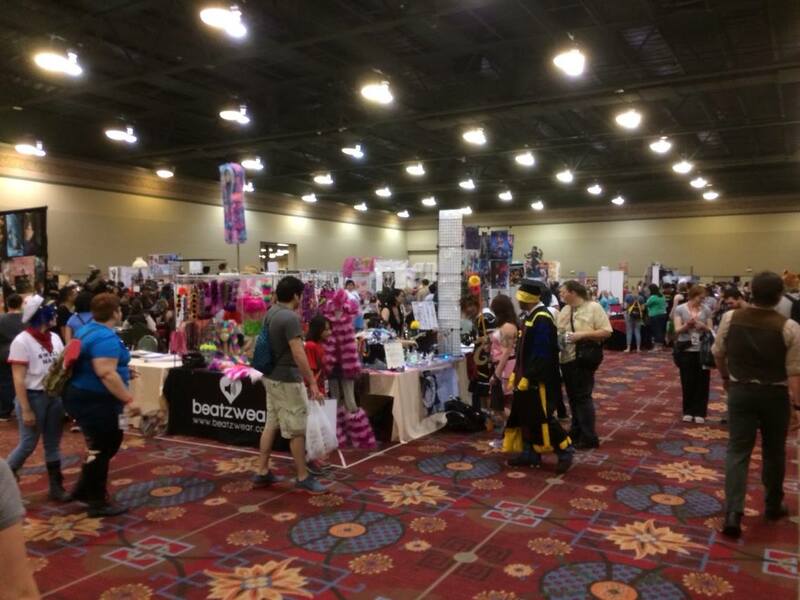 The layout itself was fairly standard with the use of rows and ‘streets’ to help add some points of reference as well as a direct entrance to the dealer’s room from the artist’s alley, so patrons could go back and forth as they please. I also managed to find some of my internet pals knocking around such as Psy, Gabby, Trunks and Ayu. I rarely get to see these chaps and so it’s always great to catch up for a little bit; but I also know that they’re trying to sell stuff so I don’t wish to take time away from selling merch! Along the way I also got to meet some member of the improve group Take One Productions as well as a couple of peeps from Atlantic Press which was really neat; breakfast burritos in the Green Room bring people together! After the panels as well as an autograph session on Saturday, our schedule was much quieter. All that was left was a cocktail party for the guests that evening where I got to catch up with Caitlin Glass as well as meet the famous illustrator Steve Bennett plus Kristen McGuire. I’m not much of a social butterfly but it was a lovely evening all the same…that and saying hi to Kyle Hebert again is always cool. We then had a bunch of interviews with some anime publications and websites on the Sunday afternoon. Those interviews went on for about two hours and were really weird as it was the first time I had experienced journalists coming to US to chat to us instead of us going to them. It was unusual but totally awesome; I felt so in demand! After that brief flutter of press interest, we went back to chatting with the fans which was equally as satisfying. I once again felt so happy to be able to have a proper talk with these people who had come to see us. Such a brilliant experience which I will never forget. I can’t think of anything that went wrong during the weekend. Granted we had some technical gremlins during the main panels, but that was dealt with by the skilled hands of Monty from A/V Tech who quickly dealt with the problem. Thanks, dude! On the Monday morning, Helen and Mark invited me to join them in a quick shopping tour of Dallas where I got to do some last minute gift shopping and experiencing the Grapevine Mills Mall near Fort Worth Airport which is AMAZING. Its interior is so nineties and kitsch; it overloaded my nostalgia senses. Not to mention it was such a touching gesture! It was a fantastic end to a fantastic weekend. It may have been socially exhausting but it was definitely something that I will carry with me for the rest of my life. It felt so friendly and I have so many people to thank that I have already mentioned. Thanks also go to our buddies Ally, Stephen, Austin and Patrick and Gan for hanging out with us for the weekend when we were just chilling out. It meant that there was never a dull moment. To me, A-Kon was the con that made me feel the most professional [which is nice from time to time] as well as one of the more friendly cons I have been to. I really hope I get to come back next year with the rest of the TeamFourStar gang. If you can make it to Dallas next year, then try and make it here! You won’t be disappointed. I found an Akito cosplayer! YAY! This episode was first uploaded in June 2011 and is probably one of my favourite episodes. This is where the amount of visual gags increased and I was able to take more risks when it came to more oddball jokes and ideas.